There will always be a time that we are in a place where there is lack of network connectivity, especially on days when we just need to go out of town and have our little getaway. During these times, a downloaded playlist will always come handy. So if you think like there is a need for you to download your MP3 audio streams for this reason, here we found 2 ways for free MP3 music downloads EASY and FREE! 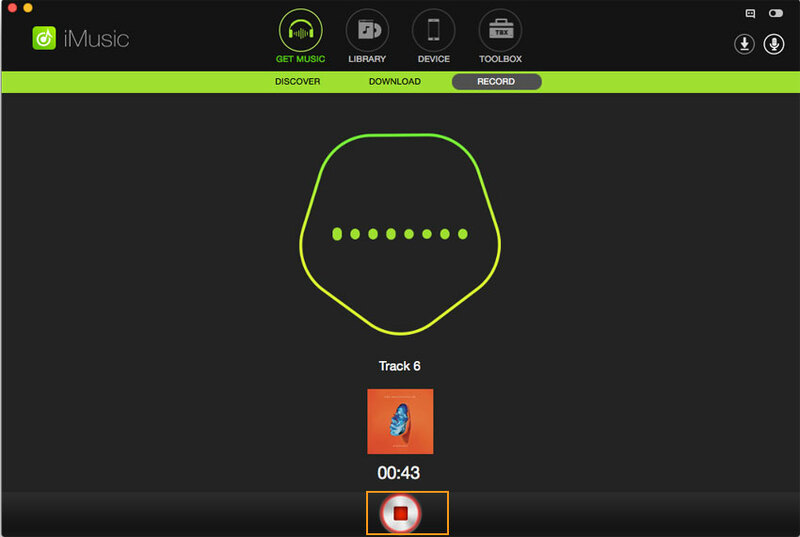 Built-in music library allows you to enjoy and download the hottest songs. 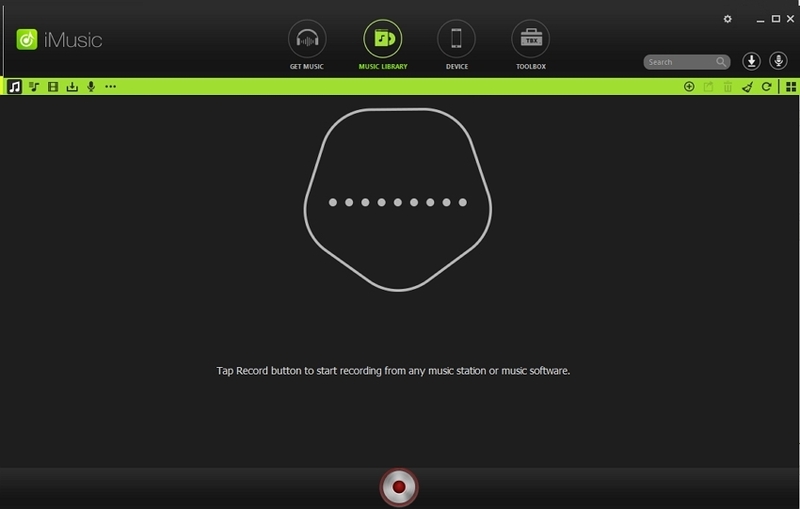 Record any music you're playing with web browser, music players and other software. 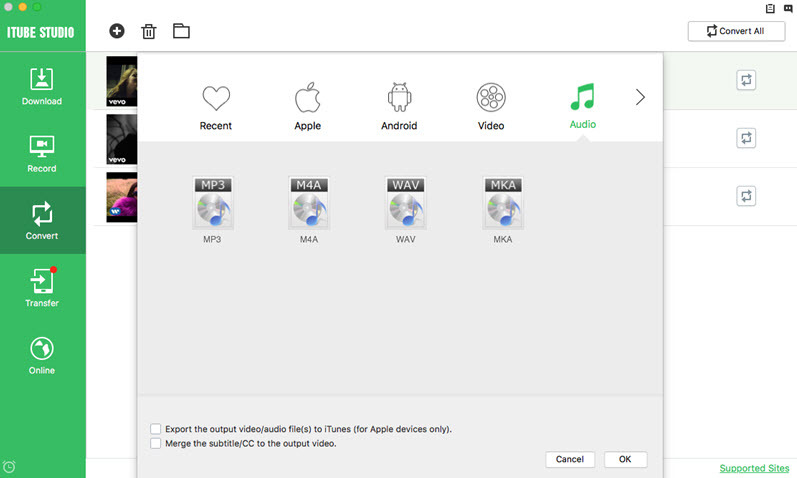 Integrated with iTunes library,letting you save downloaded or recored songs to iTunes library automatically. Transfer music from iTunes library to iPhone/iPad/iPod/Android phones, and vice versa. Copy and share music between iPhone, iPad, iPod and Android devices with simple clicks. All downloaded and recorded songs are saved to your iTunes library if you have installed iTunes on your computer. Otherwise they will be in your media library. After the downloading or recording, click "LIBRARY"in iMusic to check them out. Simply launch the program and click "GET MUSIC". From there, you can see the option "Discover". Click it, then you can see the built-in music library. 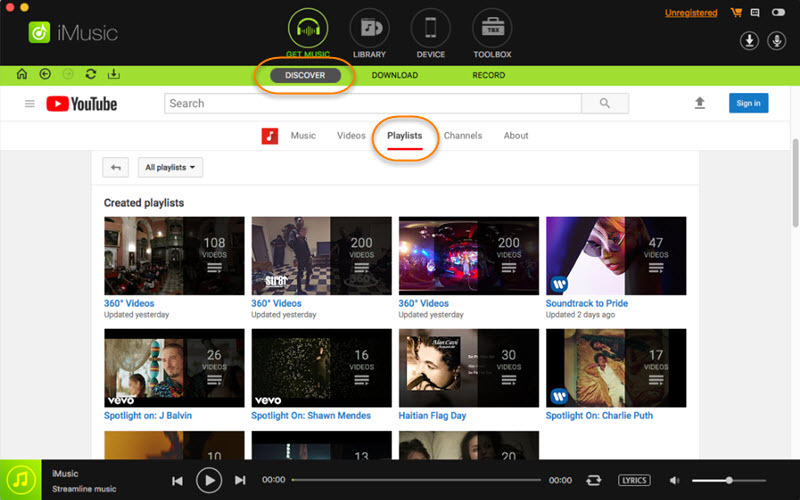 You can view these top lists and hottest songs, or search for the song you prefer by music types. When you find the one you like, simple click the download icon beside the song, letting the software download it for you. Click "GET MUSIC" and navigate to "Download". 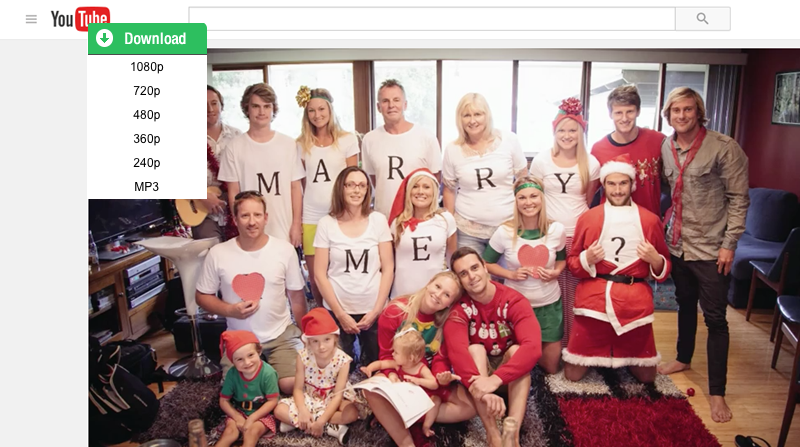 Click "Download" to see the new popped-up window. Open your web browser and open the song you want to download as MP3 format. Copy the webpage link of the song and paste it to the Download box in iMusic and click "DOWNLOAD". iMusic lets you record any song you're playing on your computer as MP3 format. First, click "GET MUSIC" > "Record". Click the red record button. Next, play the song you want to record. After then, you can see the software begins to record the song for you. 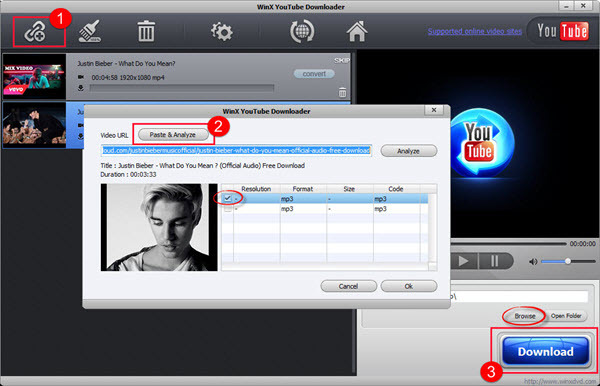 iTube Studio Best Video Downloader (or YouTube Downloader Windows version) is a program that downloads videos from websites like Vimeo, Facebook, YouTube, and 1000 more sites. Not only that, it can also convert the videos to various formats such as AVI, 3GP, or MP3. The program also comes with presets for your gadgets. This is pretty handy if you want to download music to your phones. The program has a user-friendly interface that even novice users find easy to use as it provides easy to set output configurations. 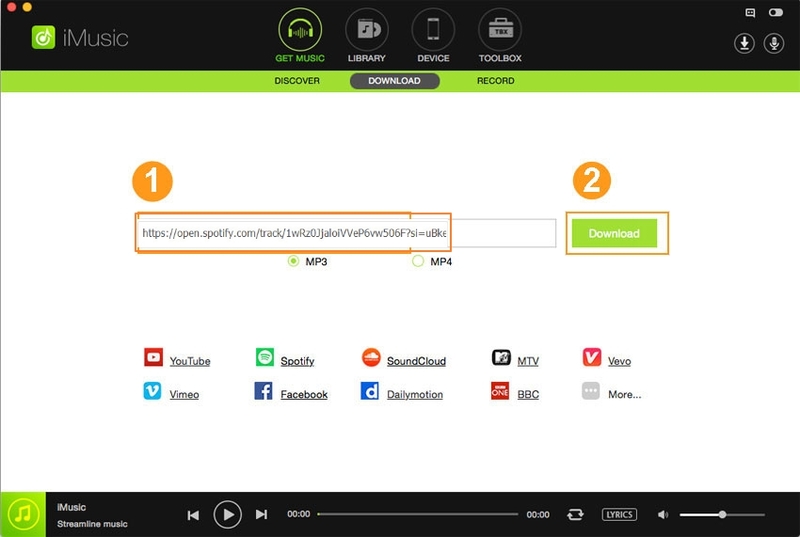 This program’s amazing feature is its capability to recognize the video you are watching and adds them directly to your download list. It also has a smart “Download” button that assists you if it detects that you are playing a video on your browser like Google Chrome, Mozilla Firefox, or Safari. The program also supports batch processing, which allows you to download an entire playlist or channel in YouTube with its Download All button. 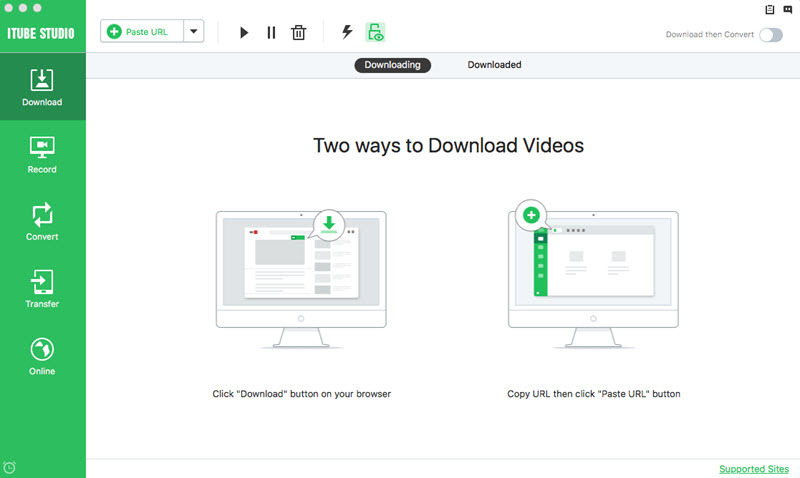 Simply navigate to the video that you want to download, mouse over the video and you will find a “Download” button on the top right corner. When you click the button, a drop-down menu will appear; choose the resolution you want and the program will start downloading. On the main interface of the program, you will see a “Paste URL” option. 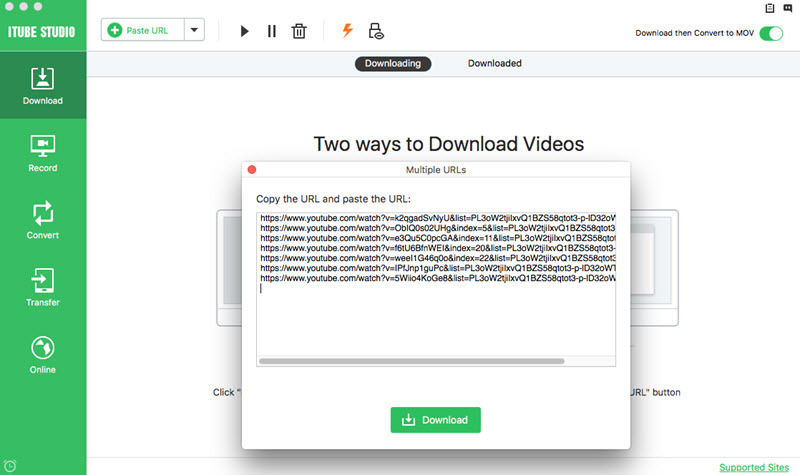 Simply copy the video URL that you would like to download and paste it on the “Paste URL” button. Go to the “Downloaded” tab to video the music video you have downloaded. Click the “Convert” button, you can select MP3 as output format to convert music to MP3. There go the simple steps required to complete the process of free MP3 music download. It’s pretty easy and you can get down to it whenever you desire. Enjoy the music and hit the road with a groove.